I'm excited to announce this exciting film and book project, "Breaking Bread: One Table, Many Faiths," is moving forward with great momentum. "Breaking Bread" is more than a spirtual journey and quest for interfaith brotherhood. It is an opportunity to serve people across the globe and give back to communities locally and abroad. Please read further to find out how you can get behind this world-changing, peace-infused project about international religion, and cultural commaraderie. 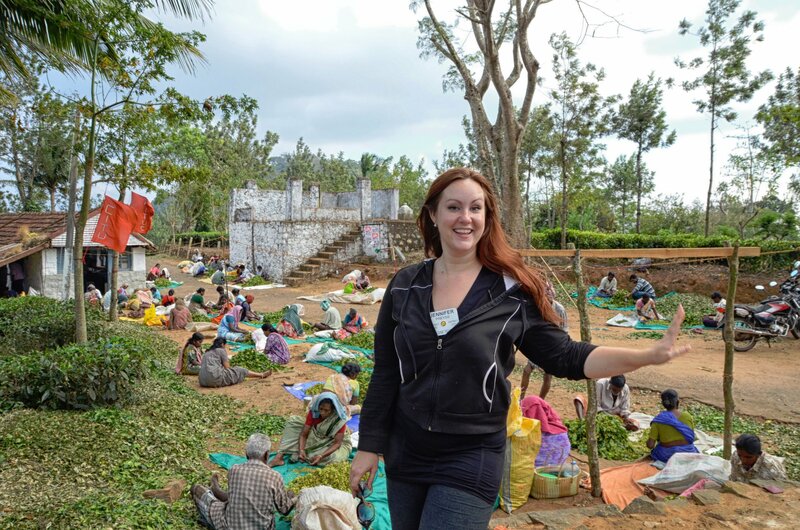 When religion reporter and faith columnist, Jennifer Preyss, traveled to southern India for a month with Rotary International in 2013, she wrote a column every day chronicling spirituality and religion education in Kerala -- one of the most ancient and religiously diverse regions of the world. Her travels and subsequent articles were so popular following the trip, community-wide dialogue spurred about the open Christian writer forming relationships and friendships with people who lived nothing like her, people of entirely different religious identities. Jennifer’s first religion-themed book (and documentary by the same name) "Breaking Bread: One Table, Many Faiths," aims to address this same theme, but on a much larger scale. Traveling with award-winning photographer Janine Marie Campbell, who was one-fifth of the Rotary International team who ventured to India with Jennifer, the pair has partnered to bring a message of love and unity to American Christians, as well as others intrigued by international faith. Together, they will travel to 10 countries and demonstrate what the act of breaking bread – regardless of where a person comes from, or the God they choose to worship – looks like. As a faith reporter for the Victoria Advocate, Jennifer has long witnessed the tensions between faith groups, and the fear that may exist between them because of a lack of exposure to the other. But Jennifer and Janine hope to tear down some of those fears in this journey and demonstrate the simplicity of humanity. They hope to demonstrate that at its basic, fundamental levels, people are all much more alike than dissimilar. Borrowing from American psychologist Gordon Allport’s Intergroup Contact Theory, which states the most effective way to reduce prejudice and racism among majority and minority groups is through interpersonal contact, Jennifer will sit down at a table in each country, chatting over tea, or coffee, a meal, and figuratively break bread with people of various religions, including those who claim no God at all. She will interview people of different faiths, religious leaders, and regular people, discussing God, family, love, culture and country, while discussing how we can become better international friends and neighbors. Janine will accompany Jennifer to photograph and film the massive journey. The book and film will debut in Victoria in the fall. Janine also plans to show some of her “Breaking Bread” photos in a complementary format alongside the book and documentary. But traveling to 10 countries for two months is expensive. And they need your help to bring this educational peace project to the masses. It is a dream they carry this project out and bring home knowledge and education to help communities merge and overlap like never before. They pray you will make whatever donation is placed on your heart. And they thank you for supporting this project of peace. They cannot wait to share with you a journey few will experience in their lifetime. 1. Each chapter of “Breaking Bread” will focus on Jennifer’s interviews with people of faith in each country. 2. Each chapter will represent a different country and include cultural, food, and travel tips for readers, as well as religion education. 3. This effort aims to encourage people in communities across America to break bread with their neighbors, and diversify their friend circles. 4. 20 percent will be donated to an international humanitarian project in one of the countries visited: India, China, Egypt, Israel, Argentina, France, England, Iceland, Uganda, Jordan.